Tendon transfers are when a second muscle or tendon unit is connected to the primary tendon that has been damaged or destroyed by disease or trauma. This restores function by an alternate power source. Examples are when a fractured wrist leaves a rough piece of bone that gradually wears through the tendon that extends the thumb. 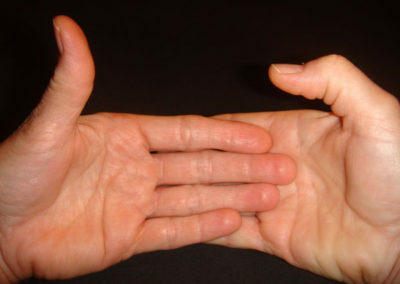 One of the extra tendons which extends the index finger may be divided distally and attached to the distal segment of the ruptured thumb extensor. This alternate power source returns full extension to the thumb. 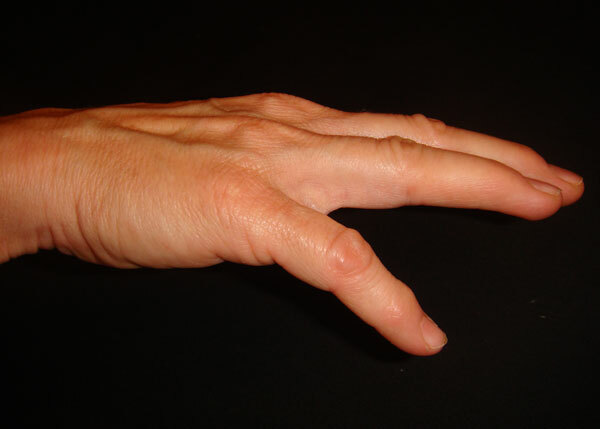 Rheumatoid arthritis may cause rough bones to wear through tendons in multiple places in the hand requiring tendon transfers to restore function. Extensor tendon lacerations are typically easier to repair and more reliable in their repair outcome than flexor tendons. The tendons and nerves within your hands and wrists are delicate structures that may be susceptible to several conditions causing irritation or impingement. Pressure on these structures caused by obesity, stress, injury or overuse may cause painful symptoms that are further aggravated by the constant use of our hands and wrist, and may interfere with performing simple tasks in your everyday life. Conditions such as tendonitis or DeQuervain’s disease, can cause pain, swelling, stiffness, and weakness in the wrist, hand, and fingers. Sometimes pain radiates up the arm as well. Tendonitis involves inflammation, pain, and swelling of the tissues surrounding the tendons. Pain usually increases with movement. Damaged tendons and nerves may be effectively treated through conservative methods that may include rest, immobilization, physical therapy, corticosteroid injections, or over-the-counter medications. More severe cases may require surgery to repair damage that does not respond to other treatments. Untreated tendonitis may lead to chronic symptoms or rupturing of the tendon. As a result it is important to seek medical advice before more damage occurs. For more information on Tendon problems and repairs CLICK HERE.